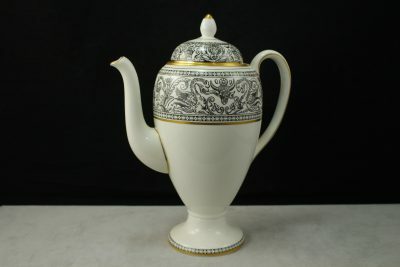 Wedgwood Florentine Black Dragon design coffee pot with lid. Features gold trim and white color. 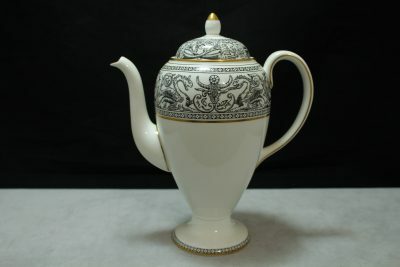 Wedgwood teapot with lid. Florentine black dragon design with gold trim and white color. 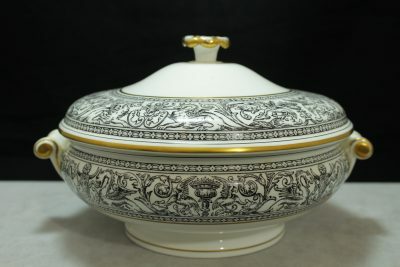 Wedgwood round covered vegetable bowl tureen. 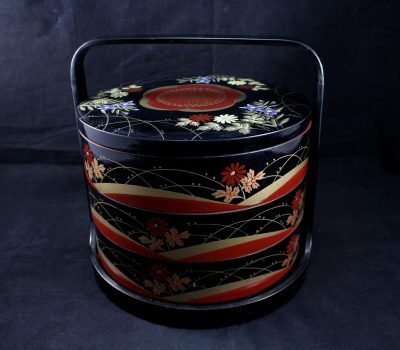 Featuring Florentine Black Dragon with gold trim and white color. 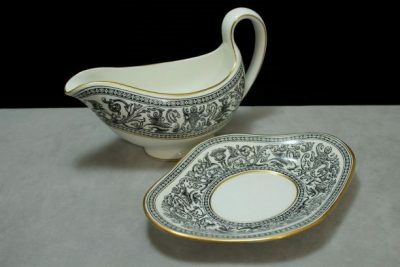 Wedgwood gravy boat and underplate. Featuring Florentine Black Dragon design with gold trim and white color. 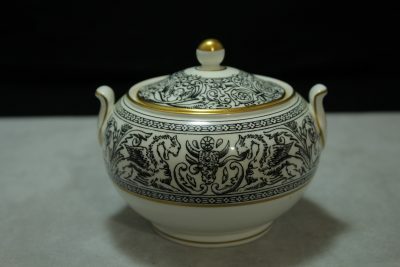 Height of Bowl - 5 1/2"
Wedgwood coffee pot with lid. Features Florentine black dragon design with gold trim and white color. 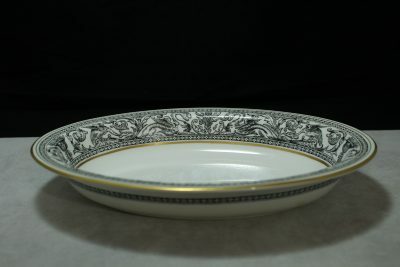 Wedgwood salad serving bowl. Featuring Florentine Black Dragon design with gold trim and white color. 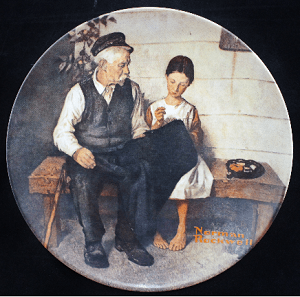 Everyone knows that when a television series becomes famous, plates are surely going to be made in honor of the brand new hit television show. 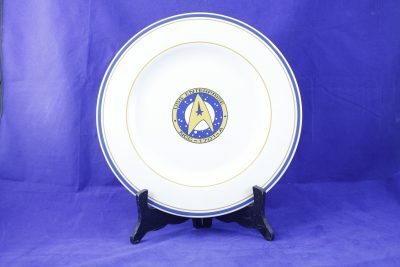 This particular set is made in commemoration for Star Trek and each piece features the Star Fleet insignia along side USS Enterprise NCC-1701-A. 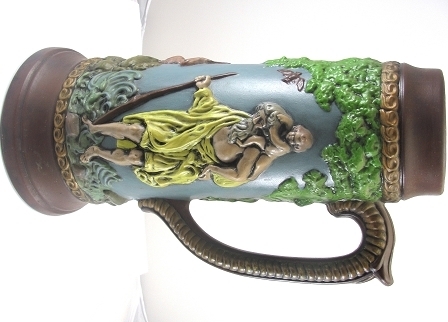 The set comes with four regular sized plates, five smaller plates, four coffee cups and two stein like mugs. All are in great condition with no chips or cracks. Definitely an amazing set for any Star Trek fan. 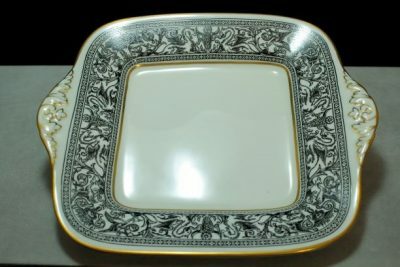 Wedgwood Oval Platter. Florentine Black Dragon design with gold trim and white color. Height of Bowl - 1 1/2"
Czechoslovakia Moser Shot Glasses 6 pc. Czechoslovakia Moser shot glasses come in the original box, and assorted colors. They stand bout 2" tall. They are a vintage item from the 1940's. 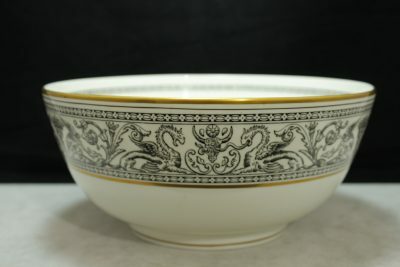 Wedgwood oval vegetable bowl. Features Florentine black dragon design with gold trim and white color. Height of plate - 1"
Diameter of plate - 13"
Bavaria Schaller Porcelain China Tea Set 13 pc. Design of roses in the shades of pink, orange, and yellow. There are gold high lights on each piece. Vintage metal lassi cups have etched scenery on them. 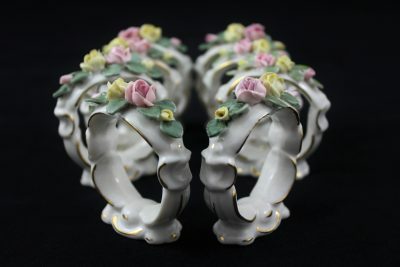 They are all hand tooled, chased and hammered with superb craftsmanship. A very nice set of four. He was made in England in 1880. 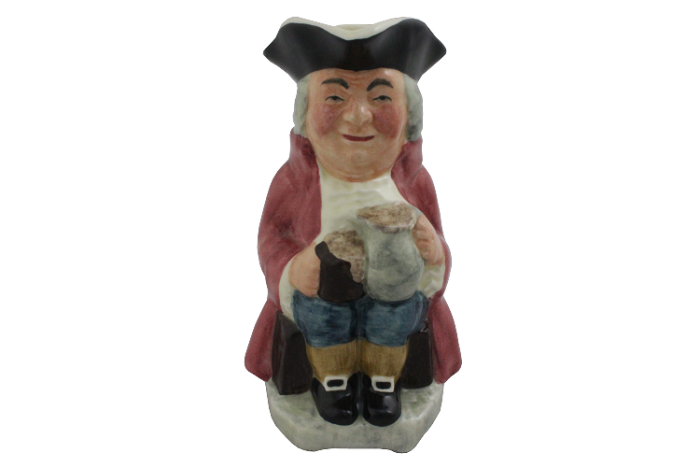 This fine gentleman is sporting a redcoat and blue pants, his hat happens to be the spout of the creamer that leads into the brown handle he's leaning against. 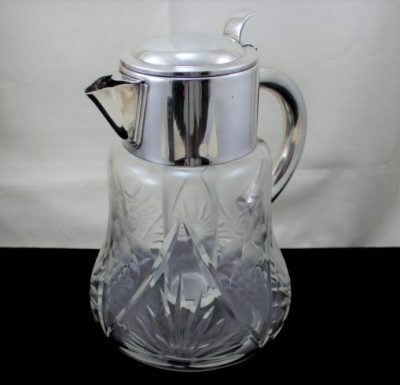 Glass pitcher with silver plated spout and hinged lid. Glass is beautifully etched with grape design. Pitcher comes with ice cube insert with screw on silver plated lid. Silver plating has "Germany US Zone" and "D.R.G.M." etched on it. Wedgwood Sugar Bowl. Featuring Florentine Black Dragon design with gold trim and white color.